October 13, 2016 – Lockheed Martin has launched a Science, Technology, Engineering and Mathematics (STEM) program designed to enable high school girls to engage in real-life experiments that will reinforce their curiosity and interest in STEM careers. In partnership with the Japan Association of Rocketry (JAR), a non-profit organisation that sets the industry standard for model rocketry in Japan, Lockheed Martin launched ‘Girls Rocketry Challenge’ at Japan Aerospace 2016. Model rocketry teaches students the basics of physics, mathematics, and other disciplines in a fun and collaborative manner. The six-month program will enable 18 girls from three schools to obtain their class 4 rocketry licenses, practice model rocketry skills, and present their progress at Science Castle in December. Participants will then compete in the National Competition of model rocketry at JAXA, Tsukuba, tentatively scheduled for May 2017. On October 8, all three teams and their teachers joined Chuck Jones, Lockheed Martin Japan chief executive, and Makoto Yamada, JAR’s president, for an introduction to the program and to each other. This education program is a first of its kind for Lockheed Martin in Japan. The Corporation has launched similar initiatives in the United States, Singapore and India. This effort is part of a larger Lockheed Martin investment in STEM programs. Over the past five years, Lockheed Martin has contributed almost $70 million to STEM education programs. About 50% of the Corporation’s corporate philanthropy goes to STEM education programs. 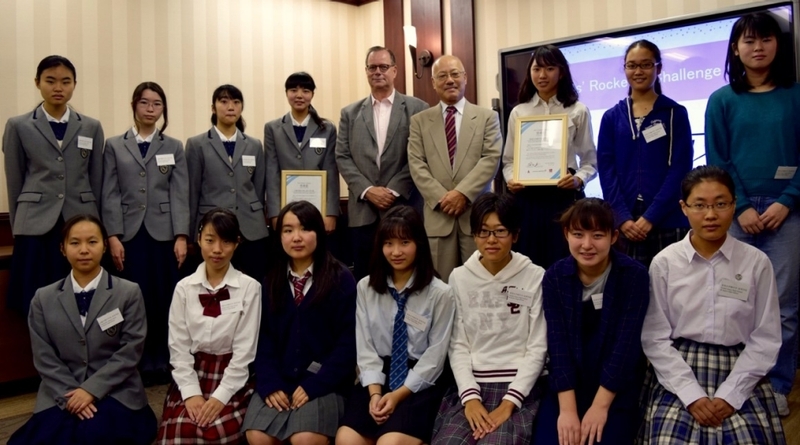 “Lockheed Martin has built a close relationship with Japan over several decades, and we are pleased to be able to deepen this connection through the Girls Rocketry Challenge, which enables us to give back to the community in which we operate. Advancing STEM education always requires close collaboration between industry and educators, and I am looking forward to working with our partners to bring this program to life,” said Lockheed Martin Japan’s Chief Executive, Chuck Jones. Advancing STEM education is a critical focus for Lockheed Martin, and a challenge that it shares with the Japanese industry. Lockheed Martin hopes this program will allow girls to experience STEM activities first-hand and that it will open new doors for the next generation of female innovators, explorers and inventors.